The K&M 14047 Pneumatic Stool is ideal for gigging musicians requiring a comfortable seating position. The steel frame has an adjustable height to suit all preferences. The seat is made out of high quality imitation leather for long lasting comfort. 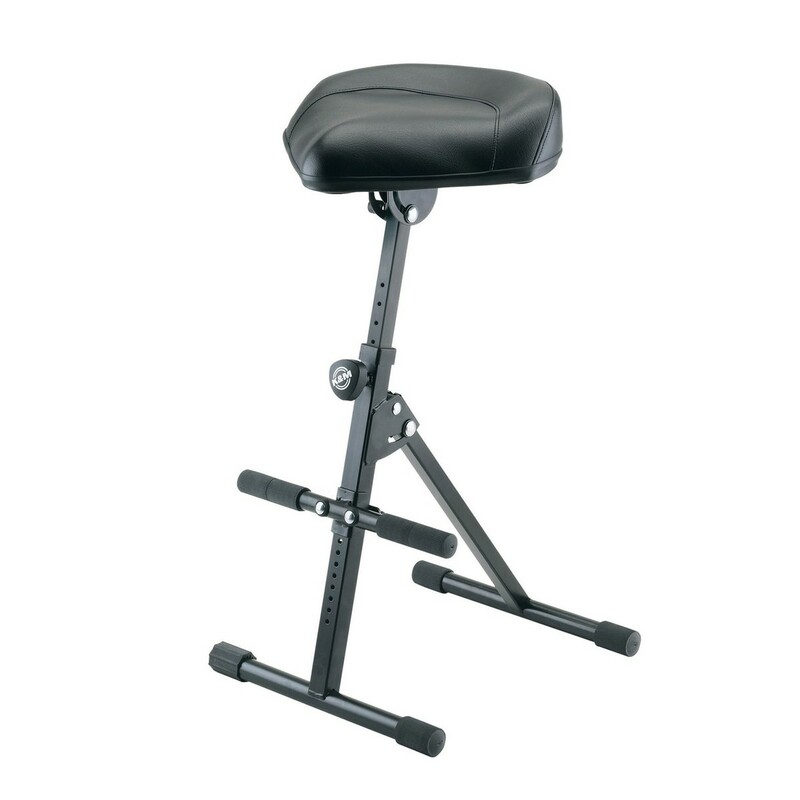 The bar structured foot rest offers extra comfort, especially for orchestral musicians. The pneumatic spring allows easy transitions. The 14047's rubber foot caps prevent slipping on stages so musicians can be confident about concentrating on playing.